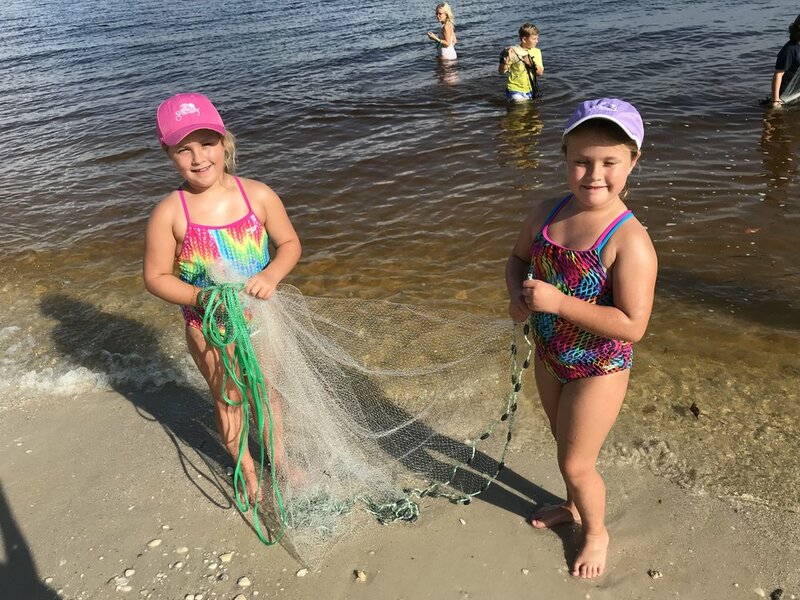 The Bait Box owner and Sanibel native Ralph Woodring visited Sanibel Sea School’s After School Cast Netting program to help students improve their cast net throwing skills before the 24th Annual Esperanza Woodring Memorial Cast Net Rodeo on November 4th. Accompanied by his assistant, Jack Yeslow, Woodring spoke about his mother Esperanza’s keen ability to throw a net, the importance of having fishing skills during the early days on Sanibel, and how to spot bait fish in the water before casting. "Don't ever let anyone tell you a girl can't throw a cast net. My mom almost always caught more fish than my dad," he said. Woodring and Yeslow then observed each participant’s skills and made suggestions, helping students adjust their stance and throwing methods for a more successful cast. “There are so many ways to throw a cast net,” advised Yeslow. “You just have to try a few different things and figure out what works best for you,” he added. By the end of the session, many students had caught one or more fish in their nets. 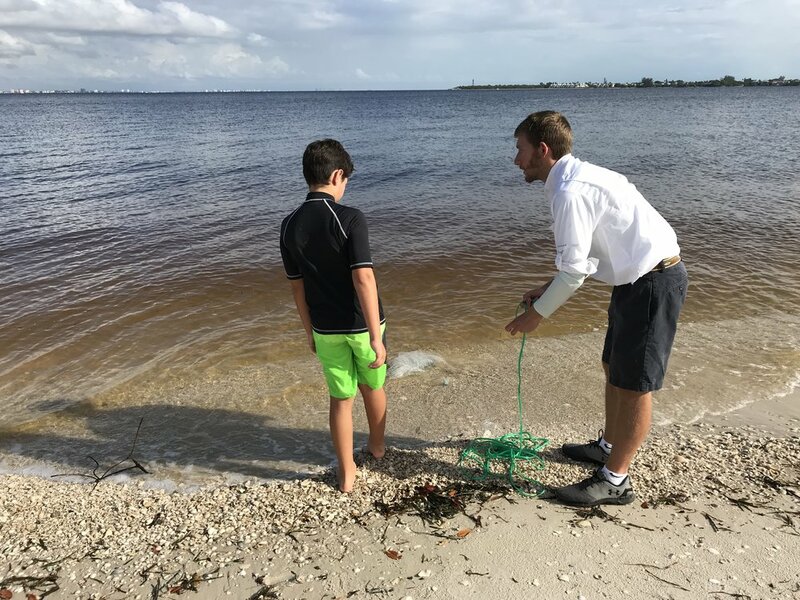 “It’s meaningful to see the kids learning directly from the fishermen,” said Sanibel Sea School educator Johnny Rader. “Ralph Woodring always shares a few stories about growing up on Sanibel when he stops by. The island has definitely changed over the years, so hearing from someone who has been here since the beginning is a pretty special opportunity for the younger generation.” By developing waterman skills like cast netting, kids are able to carry on the legacy of the people who lived here long before us. After School Cast Netting is offered by Sanibel Sea School every fall. The 501(c)(3) nonprofit will also offer After School Surfing and Ocean Art this year. To learn more and register, visit sanibelseaschool.org. For more details about the Cast Net Rodeo, visit thebaitbox.com.